On Saturday, Aug 13, 2016, our birdwatching group from Olympic Peninsula Audubon Society traveled through the northern waters of the Olympic Coast National Marine Sanctuary on the M/V Windsong out of Neah Bay. Our route traveled through the western entrance of the Strait of Juan de Fuca to Swiftsure Bank, then south over the Juan de Fuca Canyon and back inshore by Tatoosh Island. Marine organisms from tiny fish to enormous whales rely on sound and hearing for their survival, but increasing human activity within our ocean over the last century has also meant increasing levels of noise. Gray's Reef National Marine Sanctuary superintendent Sarah Fangman and Olympic Coast National Marine Sanctuary superintendent Carol Bernthal discuss how understanding the soundscapes within their protected areas can help sanctuary managers better safeguard species that rely on sound. 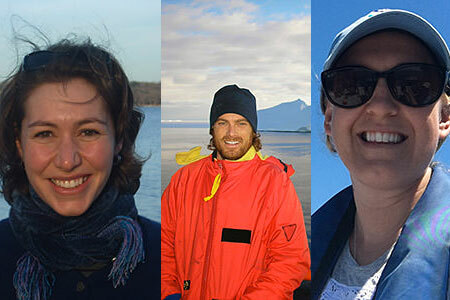 Understanding Ocean Noise Reddit "Ask Us Anything"
Join NOAA scientists Dr. Leila Hatch, Dr. Jason Gedamke and Dr. Jenni Stanley on December 8th for a Reddit "Ask Us Anything" about understanding ocean noise. Former Nancy Foster Scholar Dr. Nyssa Silbiger and her colleagues Piper Wallingford and Savannah Todd have spent the summer researching intertidal organisms in West Coast national marine sanctuaries -- all out of a camper van. Sport divers on the M/V Fling, diving in the Gulf of Mexico 100 miles offshore of Texas and Louisiana, were stunned to find green, hazy water, huge patches of ugly white mats coating corals and sponges, and dead animals littering the bottom on the East Flower Garden Bank, a reef normally filled with color and marine life. The reef, which is part of Flower Garden Banks National Marine Sanctuary, is considered one of the healthiest anywhere in the region. 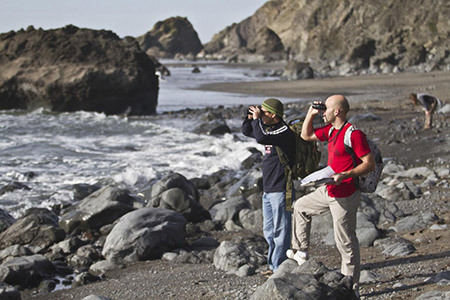 For 13 years, Greater Farallones National Marine Sanctuary (GFNMS) and Cordell Bank National Marine Sanctuary (CBNMS) scientists have collaborated with Point Blue Conservation Science to collect data on the ocean ecosystem. The project, Applied California Current Ecosystem Studies (ACCESS), examines how ocean conditions influence the tiny plants and animals at the base of the ocean food chain which in turn drive the abundance and distribution of top level predators like seabirds and marine mammals. 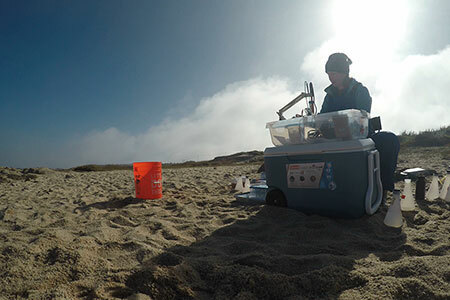 ACCESS data from 13 years of sampling reveal a dynamic ocean influenced by both large scale phenomenon like El Niño, and local conditions such as strong winds that bring cold, nutrient rich water to the surface through “upwelling”. 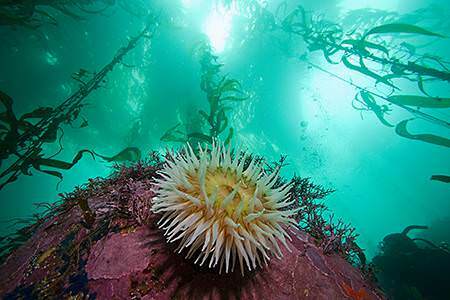 This summer, NOAA's Office of National Marine Sanctuaries is teaming up with the Ocean Exploration Trust to explore the marine ecosystems of the West Coast. Working aboard the E/V Nautilus and utilizing remotely operated vehicles (ROVs), scientists will map and explore targets throughout the U.S. West Coast, from Canada to southern California, including five national marine sanctuaries. If you're a marine animal, odds are good that you need sound. From whales to small invertebrates like shrimp, many marine organisms rely on sound and hearing for their survival. Sound is the most efficient means of communications over distance underwater, and is the primary way that many marine species gather and understand information about their environment. The government alone cannot sustain healthy oceans. It takes stewardship and community involvement in order to combat today’s pressures on our marine ecosystems. 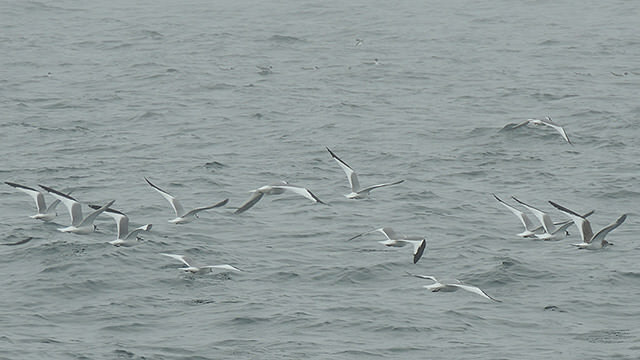 The Greater Farallones National Marine Sanctuary uses seabirds as sentinel indicators of the health of our coastal ecosystem, through long-term monitoring of live and dead seabirds.